A specialised Anti-ageing approach to facial treatment, to stimulate and remodel your skin for a healthier, younger glow. Profhilo® is a unique bio-remodelling injectable treatment that works to remodel your skin and has visible results after only 2 treatments. Profhilo® works by stimulating your own production of collagen and elastin within your skin which, over time, aims to give you a tighter and more youthful appearance rejuvenating your skin from the deep layers up to the surface of your skin. Your skin tone and texture will also be improved along with overall hydration of the skin. Profhilo® is not a filler, and not a skin booster. It is the first injectable hylaronic acid for skin remodelling and treating skin laxity. Profhilo® contains hyaluronic acid – a substance that occurs naturally in the body, it is not dermal filler and does not plump or add any volume to the areas treated. Profhilo® instead is a unique treatment rivaling dermal fillers with its quick treatment time and only 5 injection points for each side of the face. Profhilo® is a new discovery within facial rejuvenation treatments. It’s unique 100% HA (Hyaluronic Acid) solution spreads under the skin to remodel the skins structure, nourish the dermal cells and treats skin elasticity restoring the firmness of your skin. Any area of the body could be treated with Profhilo® but it is most commonly used to treat the face, neck and hands. Profhilo® is suitable for men and women from the age of 30 onward. There is minimal discomfort during the treatment. The new generation of dermal fillers contain a numbing local anesthetic, which makes the procedure relatively painless. Prior to the treatment an anesthetic will be applied (If required) to keep any pain to a minimum. The treated area will be sore and tender for a couple of hours post procedure, and tender for a few days post procedure. Dr. Natasha takes every precaution for a clean and safe procedure, only sterilised equipment and new syringes are used for every procedure in a sanitised environment. Clients should follow our post procedure recommendations, and there should be minimal risks or complications. What are the benefits of using Profhilo®? 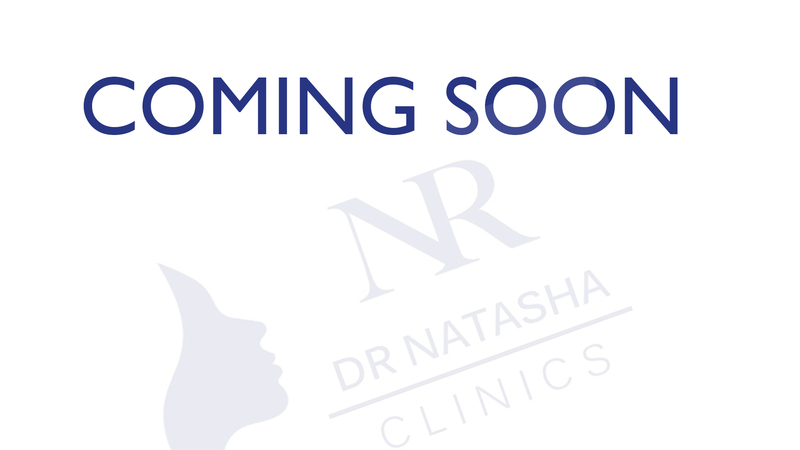 Dr Natasha will make a series of 5 small injections on the left and right sides of the face. During the treatment, the Profhilo® is injected into the face to restore the youthful firmness and volume of your skin. The treatment is very effective for tackling the skin thinning and sagging that can happen with the ageing process. Profhilo® targets all of the key points simultaneously to ensure, that your whole face is lifted at once, creating a very natural look. Profhilo® is a relatively simple procedure with minimal downtime and without the costs of expensive surgery. Some clients may experience some slight swelling or bruising post treatment, this is normal. Dr. Natasha will also advise that the post procedure recommendations below are followed. The treatment is recommended over two sessions, usually one calendar month apart for the best results. A further treatment may be required after six months to maintain the skins appearance. The procedure is very safe. There are minimal risks. There are no long-term side effects. Profhilo is metabolised into the body. Dr. Natasha is very experienced and specializes in using Profhilo®. The most common side-effects include redness, tenderness, mild bruising and mild swelling. These usually resolve within a few hours, but bruising may last up to a few days. Dr. Natasha will advise on any side effects before the treatment is performed. It is recommended that you avoid smoking after the procedure. Smoking can cause the skin to tighten and constrict, and may shorten the life of the procedure and the clients overall look. We recommend not doing any form of strenuous exercise, going in a spa/sauna or drinking alcohol for the first 24-48 hours. If you are planning to have the procedure for a special event, we recommend having the procedure at least 4-6 weeks prior, as it will often take several weeks to settle in properly. How long do the results normally last for? The Profhilo® treatment results normally last between 4-6 months, this is dependent on the individual’s skin type and aftercare. After this time there may be a second treatment required. The client’s skincare routine may also affect the skin pigment and definition. To help maintain the effects of Profhilo® we recommend that you have a treatment every 9-12 months. DON’T have the treatment right before a big event. It is likely that your lips will swell, and you will likely want to have this treatment a week or two before you need to look your best. DO be prepared for a little discomfort. The products used for the injections, all have a numbing agent mixed in, but sensitive areas you are likely still going to feel some of the injections.